Endorsement by student’s advisor or major professor required. Senior member registration requires verification of senior status. Senior registration requires verification of senior status. For participants whose costs are "comped" by the Desert Tortoise Council. 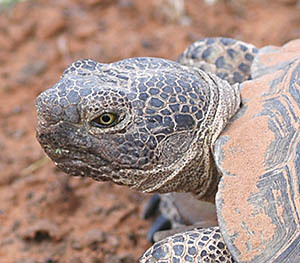 The Desert Tortoise Council will celebrate its 44th Annual Symposium on Thursday, Friday, and Saturday, February 21–23, 2019 at the Westward Look Wyndham Grand Resort & Spa in Tucson, AZ, 85704, (520) 297-1151. Early registration runs from Oct 21, 2018 through Jan 21, 2019. Regular registration runs from Jan 22 through Feb 21, 2019. Additional information about the Symposium program and activities is posted on the Desert Tortoise Council web site on the Symposium main page.